The Principality of Liechtenstein is a micro-country snuggled deep within the massive mountains of the Alps. With 38,000 citizens spread over several ‘cities’ (each with a couple thousand people, they are more like villages), Liechtenstein feels more like a single vast town than a proper country. But a real country it is – and for a long time, this real country was known as a millionaire and billionaire tax haven. Headquarters to many international companies and banks, Liechtenstein has one of (if not the highest) GDPs per person in the world and one of the lowest unemployment rates – 1.5%! The small capital of Vaduz has a distinctly Germanic Alpine feel – the above town hall and cathedral fit the style perfectly. 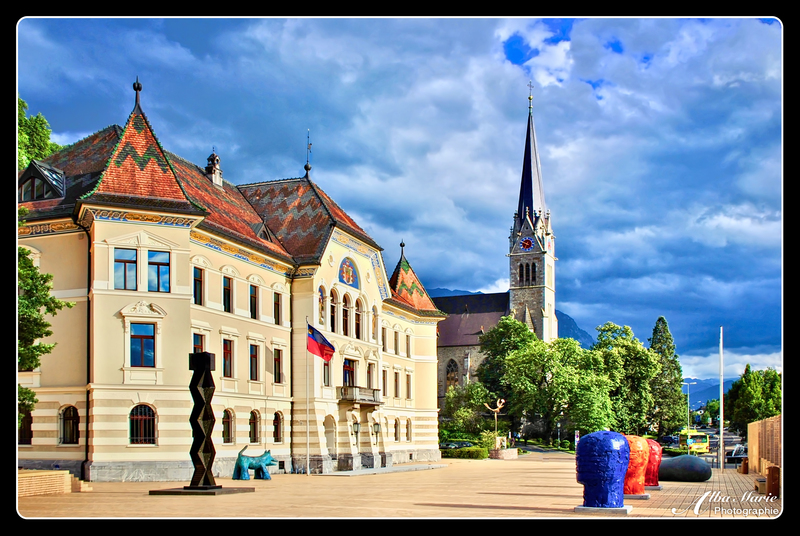 Yet the quirky modern art displays and the glossy windows of the fancy banks remind us that Liechtenstein rests firmly in the 21st century. Sitting on a backdrop of mountains and castles, some of which are still owned by the royal family, Vaduz fells fallen out of a German fairy tale – the Brothers Grimm and the Black Forest do not seem so far away. Though you can drive from one end of the country to the other in 30 minutes, this micro-country packs a bundle: admire formidable fortresses like Vaduz Castle and visit the museum in Gutenberg Castle, hike through the dark Alpine forests in the summer and ski the dark snow-capped mountains in the winter, wander the streets of Vaduz, Schaan and Balzers, or enjoy a glass of the locally-grown red wine. Bigger is not always better. In fact, some of the littlest places hold the most charm. Sometimes, these ‘tiny places’ can even be countries! Many of these dwarf nations, like Luxembourg, Monaco, Andorra, San Marino, the Vatican and Liechtenstein are located in Europe, and are vestiges of a time when the continent was far more divided, each bit of earth ruled by a local lord who was in turn ruled by a king – who was often connected to local and faraway kingdoms through royal marriages and court appointments. Liechtenstein is one of these tiny nations. Nestled deep in the Alps between Switzerland and Austria, the nation’s total population is a mere 37,000 with an area of 160km² – far smaller than the surface of other well-known ‘tiny’ places such as Corsica [8,680km²], Rhode Island [3,140km²], and Ibiza [571 km²]. Yet despite its small size, Liechtenstein has some amazing characteristics, including Gutenberg Castle in Balzers. Starting its life as a 12th century medieval church, it was slowly fortified throughout the Middle Ages, with the addition of a wall, keep, towers, gate and merlons by the lords of Frauenberg, a noble house hailing from the Swiss canton, Graubünden – only to fall into the greedy hands of the house of Hapsburg in 1314. 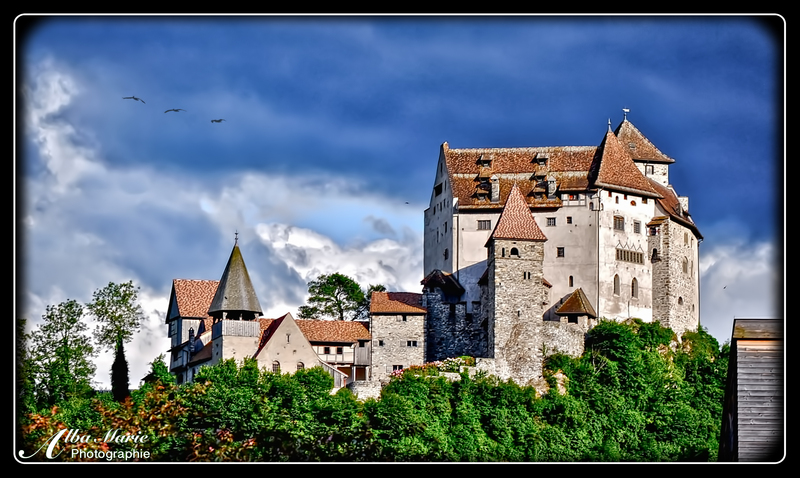 Surviving wars, sieges, fires, and the like, the castle was inhabited until 1750 before falling into disrepair, and saved in the 20th century by the Principality of Liechtenstein as a monument of local history, culture, tradition, and architecture. Sitting pretty on a backdrop of rolling green hills and overlooking a meadow filled with jolly little houses and patches of wildflowers, the dramatic and fierce Gutenberg Castle is a prominent symbol of this proud but often overlooked tiny European country.